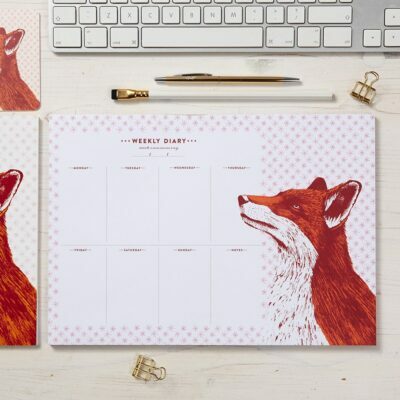 Made from 100% recyclable beermat board and printed in red, orange and pink using vegetable based inks, these environmentally friendly fox coasters feature a close up design of the covert and clever fox on one side, and full body illustration with pink starry background on the reverse. Each pack contains 10 mats measuring 94mm x 94mm and comes packaged in a clear plastic box. View more animal inspired coasters.